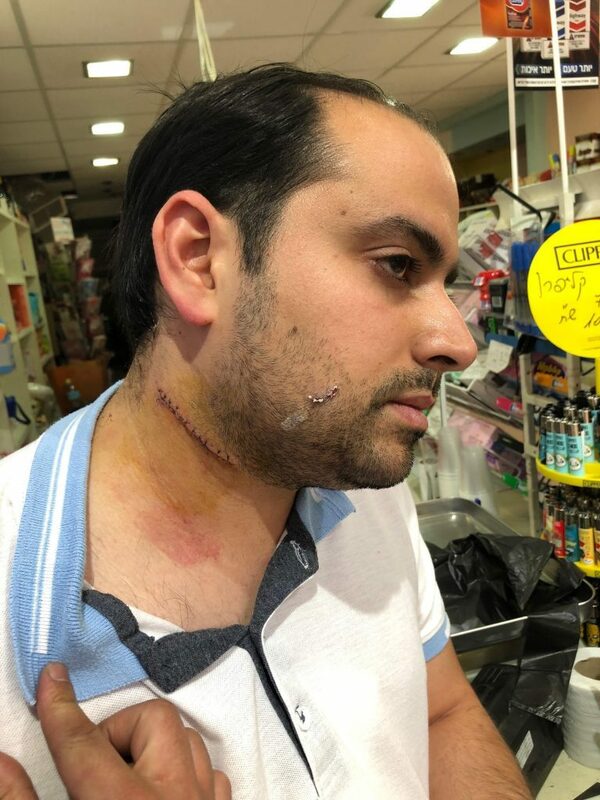 On the eve of Ramadan and just two days after the United Sates Embassy in Israel officially moved to Jerusalem, an Islamic terrorist stabbed a Jewish convenience store owner for no apparent reason. Busso sustained multiple injuries to his body and received dozens of stitches in his neck, the side of his head, and across his entire chest from the lacerations. Despite being the victim of a brutal act of Islamic terrorism, Busso returned to work hours later covered in bandages and stitched-up. A group of men who were also inside the store reported the terrorist was a Muslim who kept shouting “Allahu Akbar,” the battle cry of jihadists. Busso said he has never met the terrorist and that he doesn’t know why he chose his store as the location for the attack, but is determined to not let Islamic terrorists stop him from living his life and carrying on with his workday. Although the blood inside his store has been cleaned up, the bus stop across the street remains covered with bloody hand prints and drops of blood from the attacker who attempted to flee the scene. 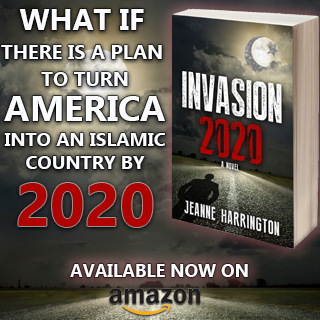 Immediately following the terrorist attack, which occurred around noon local time, emergency responders and police officers on motorcycles and horseback rushed to the scene where they detained and arrested the assailant. The identity of the attacker has not yet been released to the public, and the media has failed to report that this was an act of Islamic terrorism, referring to it as an “argument”. However, Busso and witnesses inside the store say there was no argument and the stabbing was seemingly a random act of jihad. 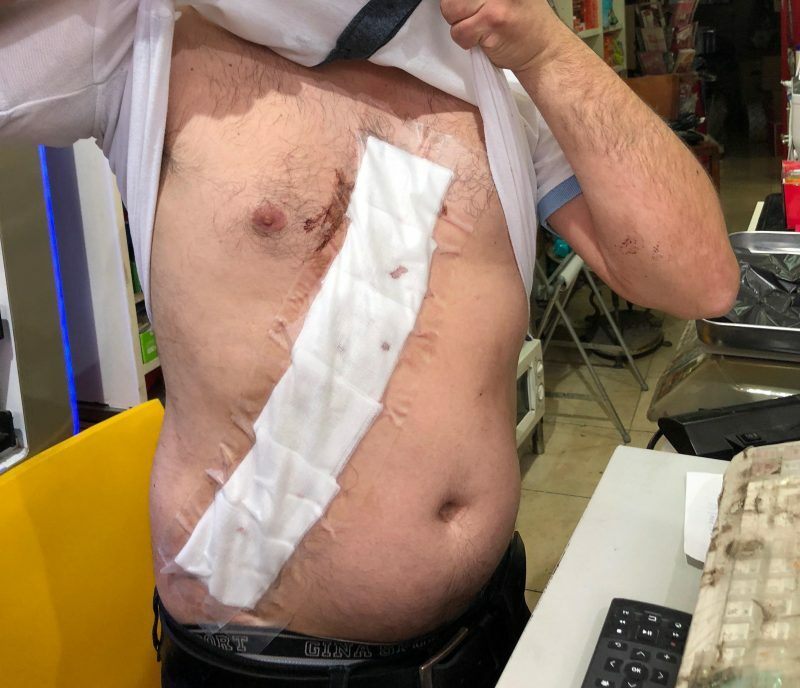 EXCLUSIVE INTERVIEW: Shlomi Busso, a Jewish store owner in #Jerusalem, Israel was attacked by an Islamic terrorist TODAY who stabbed him in the neck and chest with a broken glass bottle while screaming “ALLAHU AKBAR”. 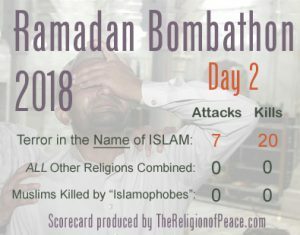 Isn’t Ramadan supposed to be when these Muslims are NOT supposed to kill anyone? I mean really? I thought Muslims have to starve themselves to death during the Holy Week (or whatever) of Ramadan. It is past time to begin the end of this cult in America. I plan to confront them in public every chance I get. I will question their existence & the women’s ridiculous headwear. I will remove all honor they are so concerned about losing. Can I get an Amen ? Rhamma lama ding dong ! 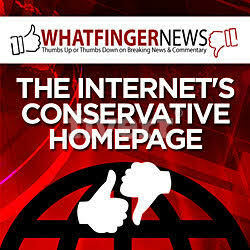 We need civilization fatwas with rewards for killing antimatter universe terrorist islamists ! It is wildly inaccurate to say that this stabbing was for no apparent reason. The assailant is a Muslim and the victim is a Jew. The reasons for the stabbing are all too apparent. Use Muslim terrorists as human shields …. eye for an eye …. I donate this clever idea to the IDF ? Governments that allow Sand Apes to roam at large must be held liable in court for damages just as you will be if your pit bull bites someone. And a big Hat Tip: Tom Trento of The United West and Damon Rosen for breaking the original story. Too bad the monster was not killed resisting arrest. Deport all the stinking, violent muslims from Israel. 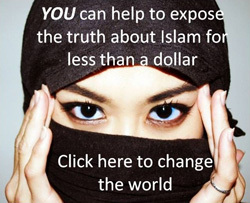 The time is now to rid the world of muslim filth and their warped supporters. They need to be sent to hell! Thomas Jefferson had the right idea. MTM,yes, they are allowed to have guns and many do. That guy is tough as nails, God bless him. I hope everybody goes to his store & buys lots of stuff! May God curse the Muslum attacker. AUSTRALIA:" If we are practicing Muslims, we are above the law of the land"
Clearly, nothing to see here, folks...so what was that guy in white Muslim attire doing at Notre Dame Cathedral when it went up in flames? Does the destruction of Notre Dame by fire symbolize the destruction of Western civilization by mass Muslim immigration? IT'S PASSOVER: Aren't You Embarrassed? Ronyvo on Does the destruction of Notre Dame by fire symbolize the destruction of Western civilization by mass Muslim immigration? BareNakedIslam on Does the destruction of Notre Dame by fire symbolize the destruction of Western civilization by mass Muslim immigration?